Shopbop's having a surprize sale (???) (pretty freaky) and it's pretty big. No. There are no Chanel bags on sale. But, there's plenty of other great stuff. 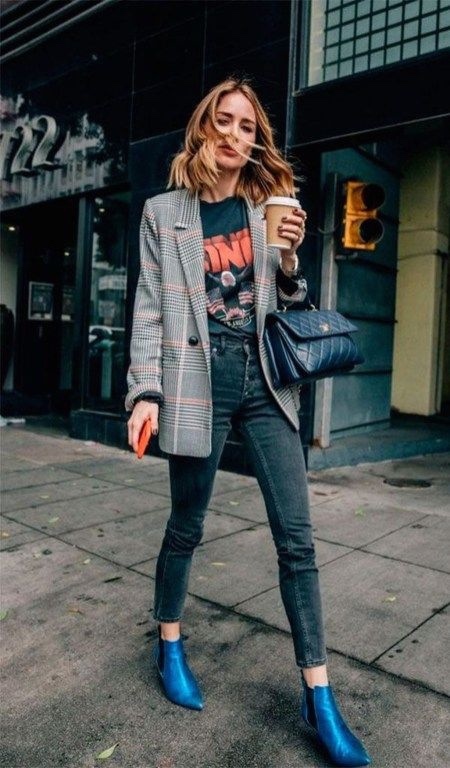 This chick has the look down for Fall that I one hundo recommend: tweed blazer, printed T, high-waisted denim, snazzy shoe. Why not use this sale to grab any one of those options at a great price OR consider other closet staples like a tweed-ish/menswear inspired winter coat (or maybe this one), a great blouse to wear with jeans or slacks (or what my closet is most in need of), a fabulous dress for any Holiday occasion (laying down a major Tom Ford vibe (at a price Ic an afford)), a slipdress (trust me, wear a T under it, throw on a sweater and a pair of booties and you will be chic and stylish for days), the perfect everyday bag, and why not listen to me on the white mule???? Any of those items would be scary good news for your closet.